My friend Jeff and I found ourselves in one of the wildest and absolutely coolest places in the Wild West, Wyoming. We rolled into our campsite at the Bridger-Teton National Forest just before dark set in during a heavy snowfall. We proceeded to spend one of the coldest nights ever in our many travels. Even with the fire, we both were freezing the whole evening. To add insult to injury, in a middle of the night frozen stupor I had the idiotic idea of throwing a woolen Army blanket over my sleeping bag to help out, which of course wasn’t the brightest idea I’ve ever had as the added weight of the blanket pretty much destroyed the loft effect of my down bag, making this night even more miserable than it had to be. Note to self: put the blanket UNDER the sleeping bag. The American West is vast, so large in fact that you could spend a dozen lifetimes exploring and never see everything there is to see. I guess that’s a big part of the appeal for people like me who live in the eastern US and reside in a world of limited vistas. This point was driven home the next day when we decided to hike the Highline Trail near the lower Green River Lake, which is the headwater for the Green River of the West. 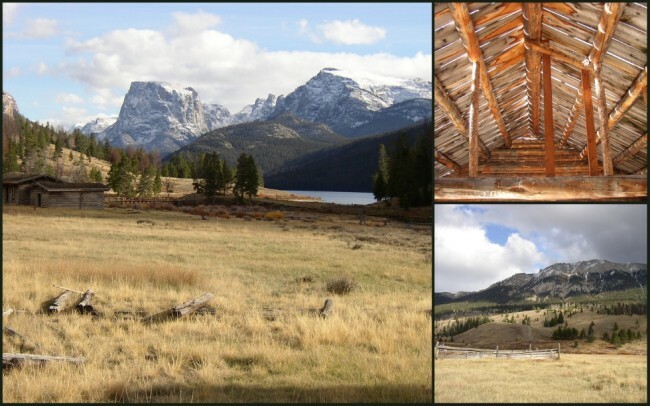 As we wandered into a spectacular mountain meadow we noticed a number of log structures off in the distance. We decided to continue our planned hike but elected to swing back by them on the return leg. As planned, we stopped by and explored the site to some extent. As is typical in the West, signage is limited (not always a bad thing) and we didn’t know anything about the site until after I got back home to Kentucky. After considerable research I found that it was called the Osborne Homestead, first settled in the early 1900’s. It was later incorporated into the G.P. 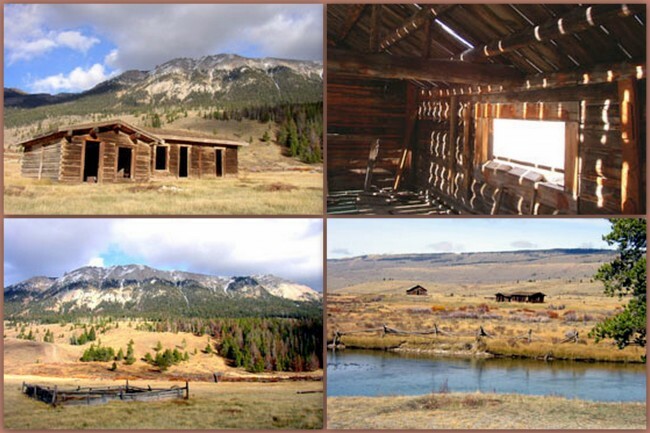 Bar Ranch that operated as a “guest ranch” on the edge of the Green River Lakes. 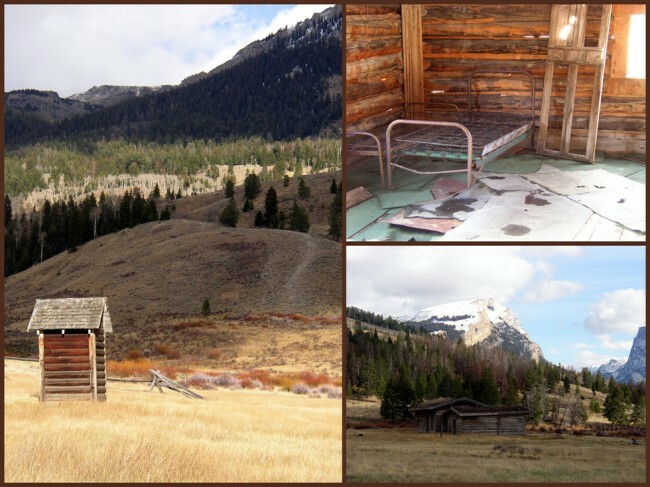 The land and cabins were sold to the USDA Forest Service in 1966, transferring the land from private ownership to public. Most of the original cabins were sold and removed from the site. 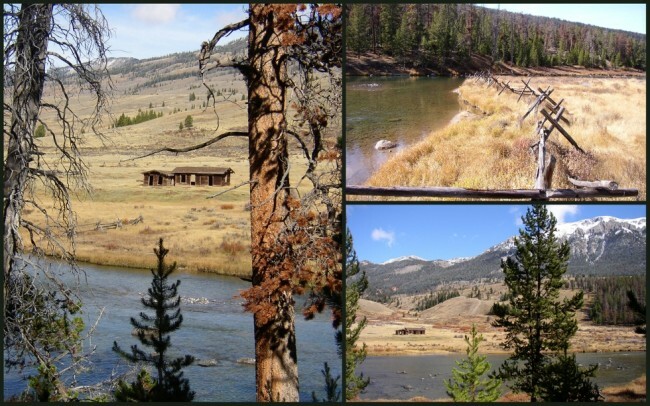 However, one was moved from its original site to the Green River Lakes Campground where it now remains. It is not open to the public and is used only occasionally as an administrative office building. It’s hard to describe the excitement of finding such a spot totally “out of the blue”. 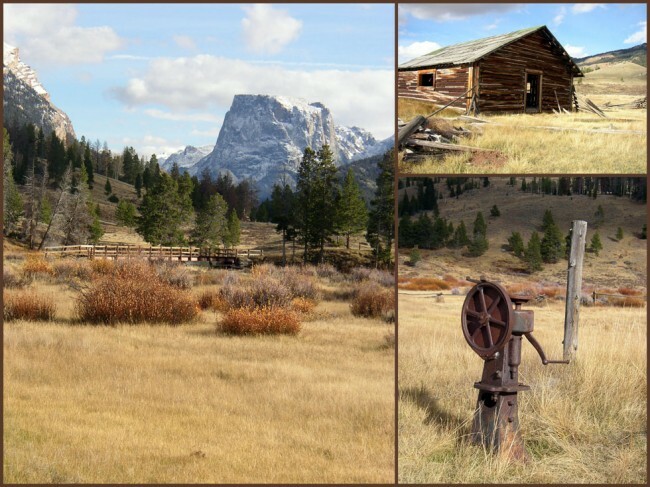 Picture yourself hiking in magnificent scenery on a perfect late-autumn day, turning the corner and finding a piece of American history, completely unexpectedly. These treasures add tremendously to the Western experience. This is one of the best rewards I know of for getting out and hitting the trail. 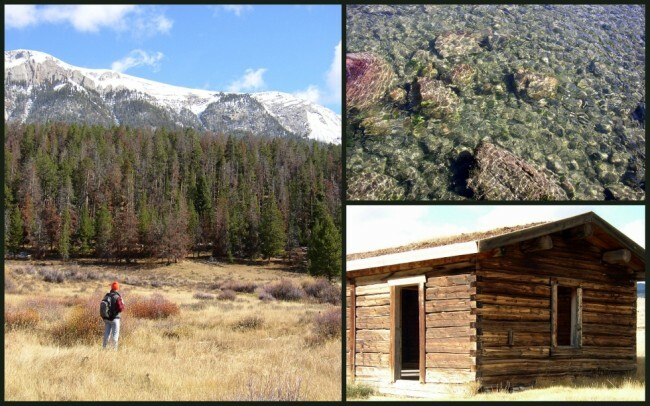 We spent a considerable time wandering in and around the homestead, trying to picture ourselves living in such a place, which is a common theme on many of our hikes. Last modified on: December 31st 2014.